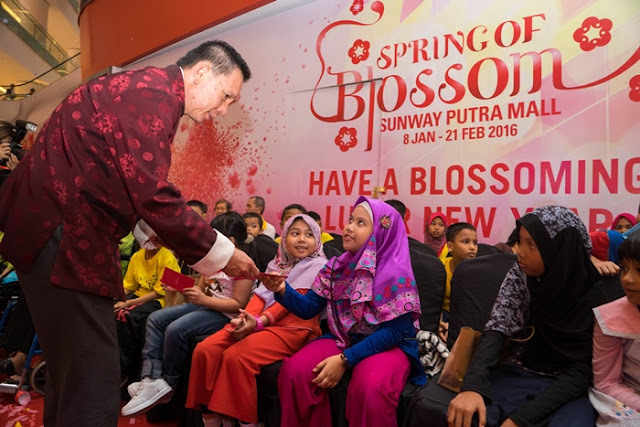 This is the Sunway Putra Mall’s first Lunar New Year celebration since their opening in May 2015. The mall is blooming with red cherry blossoms to welcome the year Red Fire Monkey, signifying the start of the Lunar New Year celebrations. From now until 21 February, you will be enchanted by a completely red concourse where a majestic pagoda stands among the red cherry blossoms. Get your New Year essentials at the Spring Flower Market and Lunar New Year bazaar, happening at the Main Atrium, Ground Floor or browse through the various festive offerings in the mall. 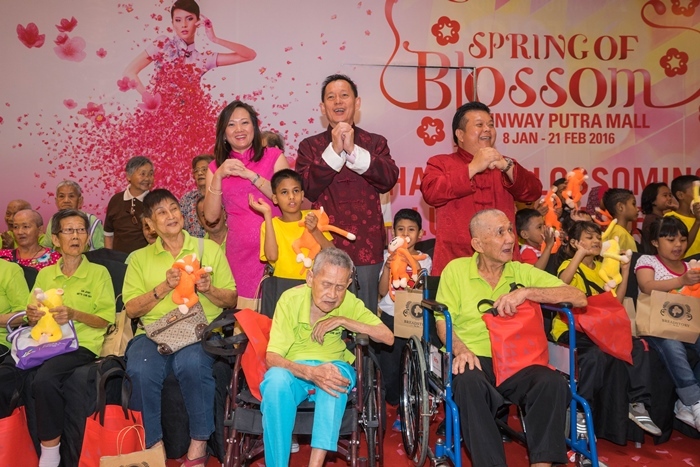 30 children from Yayasan Chow Kit (YCK) and 22 senior citizens from the Siri Jayanti Metta Care Centre and Persatuan Kebajikan dan Sosial Kim Loo Ting Nursing Homes, were invited to join the Lunar New Year Launch at Sunway Putra Mall. The launch was officiated by Mr HC Chan, Chief Executive Officer of Sunway Shopping Malls and Theme Parks. Also present were Mr Kevin Tan, Chief Operating Officer of Sunway Shopping Malls and Ms Phang Sau Lian, General Manager of Sunway Putra Mall. 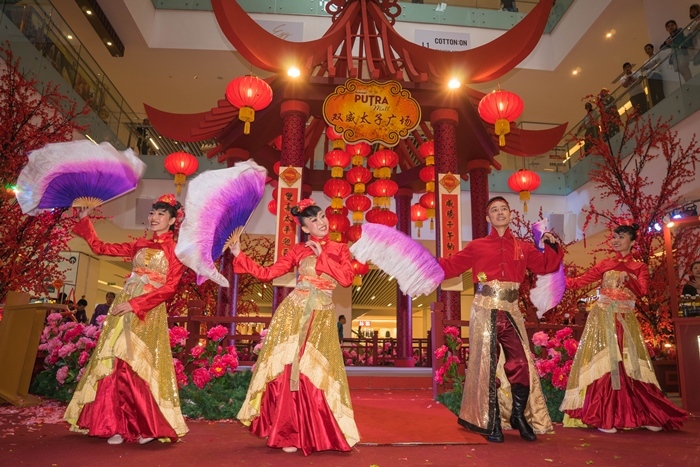 The final performance of the day consisted of the traditional Chinese dance performance of the Long Sleeve and Silk Ribbon Dance before we were ushered to Selera Street food hall for a special Yee Sang tossing celebration. The aptly named Selera Street is the central food hub of Sunway Putra Mall offering mouth-watering food selections that range from Boat Noodle, Teochew Chendol, SS2 Pisang Goreng and many others. The CNY decoration at Sunway putra is very nice. I love the CNY feel at Sunway Putra Mall. Hi Betty, yes, I love the vibrant decorations at Sunway Putra Mall as it creates the mood and excitements for Chinese New Year. Spring blossom looks so beautiful and bright. Love the decoration around.